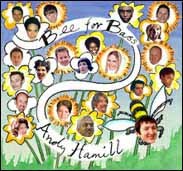 In spring 2003 Andy released his first solo album, ‘Bee for Bass‘. Carleen Anderson, Chris Bowden, Rosie Brown, Ben Castle, Valerie Etienne, Adam Glasser, Tom Gordon, Thelma Hamill, Rebecca Hollweg, Trudy Kerr, Mark Murphy, Jeb Loy Nichols, Omar, Tony Penultimate, Ursula Rucker, Shea Seger, Shrikanth Sriram, Anita Wardell, Tony Woods, Justin Woodward and Kenny Young. It’s an amazing band. Mike Outram guitar, Phil Peskett piano, Tom Gordon drums and Julian Ferraretto on violin and musical saw! 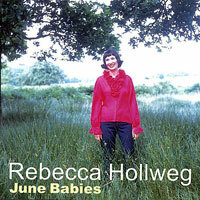 On BBC Radio 2 Jamie Cullum described Rebecca as ‘a great singer who I love very much…a great, great album…a real great listen from start to finish’. 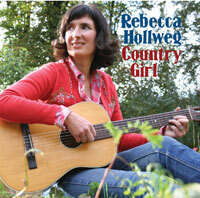 Also on BBC Radio 2 Janice Long said, ‘I love her talent…just a beautiful sound, great vibe’. Mick Houghton (Sandy Denny biographer) gave the album 8/10 in UNCUT, ‘another delightful batch of tunes’. John Lewis, reviewer for The Guardian, Metro and Uncut said, ‘exquisitely crafted and beautifully sung with sun-dappled lyrics and heart-wrenching chord changes’. 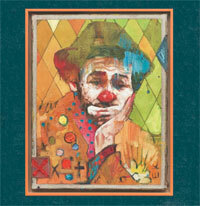 Simon Higdon asked Andy to produce his debut album, ‘A Contribution to the Arts’. Released in April 2017. 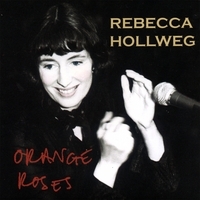 It’s full of brilliant songs, and has the same fantastic musicians featured on Rebecca Hollweg’s three albums, with the addition of Hayden Powell on trumpet and Justin Woodward on drums and vibes. 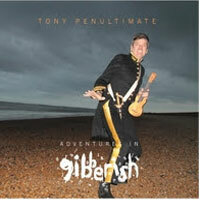 Andy produced albums for two wonderful artists who are also members of the Ukulele Orchestra of Great Britain. 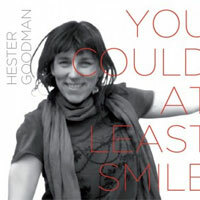 Tony Penultimate and Hester Goodman. On the song ‘Love In A Diner’ from ‘You could at least Smile’, Andy takes a solo on the sensibly sized ukulele! Andy has produced threee albums of children’s music for Jane Ruby. The first released in 2008 is entitled ‘The Naughtiest Kitten in the World’. 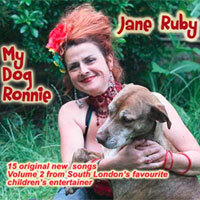 Her follow up album, ‘My Dog Ronnie’, features Andy’s daughter Ruby singing, playing kazoo and crunching vegetables! 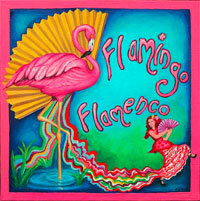 On the song ‘I Love Hedgehogs’ from the third album ‘Flamingo Flamenco‘, Ruby Hamill sings the lead vocal and adds funny voices. It’s available on the B-side of a 200-copy limited edition 7″ vinyl record on Rob Ryan’s ‘Reach Around Records’. 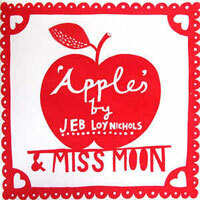 There’s a short story called ‘Apples‘ by Jeb on the A-side and the record sleeve has beautiful illustrations by Rob Ryan.